The aroma of sweet, wild strawberries reminiscences that special treat of summertime, when strawberries season is in full swing. 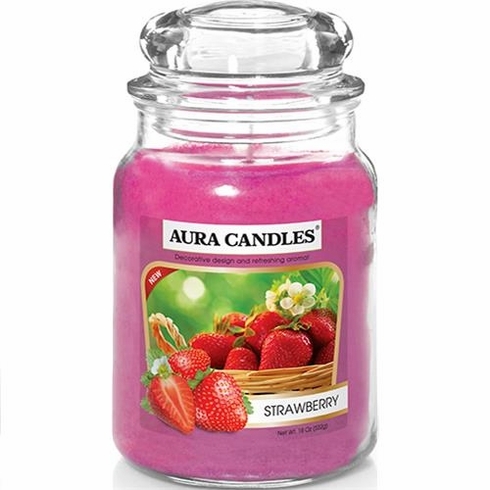 This is a true strawberry aroma with an amazing scent throw. The essence of sweet, bright red strawberries will make you drool. Our 18 oz Jar Candles are a great addition to any decor. They are hand poured using soy wax, phthalate free, fragrance, essential oil and a lead free cotton wick. Kosher Certified and never tested on animals.